Jordan shoes loyal enthusiasts will have another reason to be excited about this year after Jordan Brand announced the return of the Air Jordan 12 “Obsidian”, which was the first ever colourway of the silhouette. 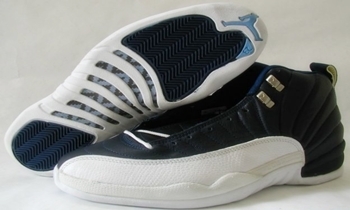 Several low-top edition of this silhouette was released for the past few years, but nothing beats the original, the obsidian/white/French blue- university blue colourway of the Air Jordan 12. It is expected that this shoe will be as durable or even more and still be comfortable, making it a must-buy once it hits the market!